There once lived a poor widow who only has a son. 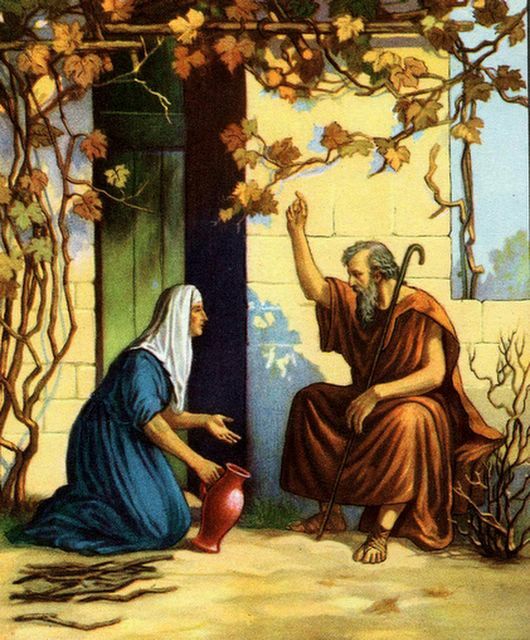 The son of the poor widow brought the jars to his mother. The poor widow filled up all the jars with the olive oil until there is no more jar anymore. The son of the poor widow replied, “There is no more jar left.” Then, the olive oil from the small bottle stopped flowing. The poor widow did as Elisha told her. She took the jars of olive oil and sold them. From the money that she obtained from selling the olive oil, she pay back all the money owed to the person. Then she and her son lived on the money that is left.